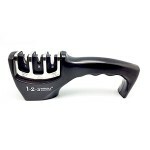 Sharpen your knives with the lightweight and durable 123 Miracle Sharpener®. 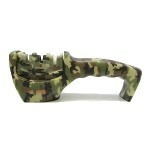 It features a black or a camouflage design that makes it ideal for outdoor enthusiasts. Store it in a tackle box, toolbox, gear bag, backpack or your desk drawer.